The age of commercial astronauts has arrived. 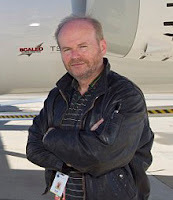 Virgin Galactic announced yesterday that it had selected former USAF test pilot Keith Colmer as its newest commercial astronaut pilot. He was the sole person chosen from a highly competitive pool of more than 500 applicants, probably comprised mostly of test pilots and former astronauts. The press release mentions that "additional selections will be made as the company nears commercial operations," so if you're an accomplished test pilot and want to fly in space, it's time to dust off that resume. 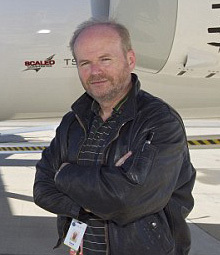 Colmer joins David Mackay as Virgin Galactic's second astronaut pilot. 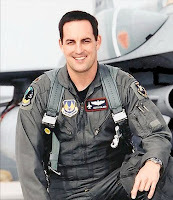 Mackay began flight training on WhiteKnightTwo and SpaceShipTwo earlier this year and has been designated as Virgin Galactic's chief pilot. 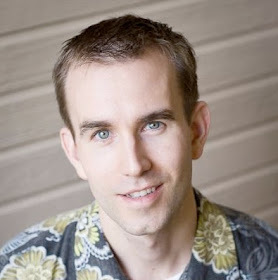 He will pilot the first commercial suborbital spaceflight in 2013. He was tapped from a pool of several Virgin Atlantic pilots who may one day also serve as pilots in the burgeoning spaceliner fleet. While Mackay and Colmer prepare to be the first pilots to take paying passengers into space, Scaled Composites test pilots Doug Shane, Peter Siebold, Brian Binnie, and Mike Melvill continue a program of rigorous test flights of the WhiteKnightTwo and SpaceShipTwo vehicles. One of them will likely be the first to fly SpaceShipTwo on its maiden voyage into space sans passengers. Binnie and Melvill made history in 2004 when they became the world's first commercial astronauts and won the Ansari X PRIZE. If you haven't logged enough flight hours to be test pilot material, perhaps you could qualify as a Virgin Galactic Flight Test Engineer, which presumably is analogous to an aircraft flight engineer. According to a recent press release, NASA will charter up to three research flights on SpaceShipTwo, and Virgin Galactic "will provide a Flight Test Engineer on every flight to monitor and interact with experiments as necessary." It's not clear whether this person will be one of Virgin Galactic's pilots or someone hired specifically for the role of flight test engineer. Virgin Galactic isn't the only private spaceflight company looking for astronauts. In the orbital crew industry, SpaceX already employs former NASA astronauts Ken Bowersox and Garrett Reisman, and Boeing plans to hire some soon. It's reasonable to expect that in the next few years former astronauts will be the most attractive candidates to companies, but looking out a decade or more as the average age of NASA astronauts grows, the next generation of commercial astronauts, such as those training through Astronauts4Hire, will be ready. I hope that project would be successful. It would greatly contribute to earth's studies.